The Ultimate Down on the Farm Party in your own backyard. Expecting a large turnout? Here's everything you need to keep 20 or more kids entertained and active during your party. 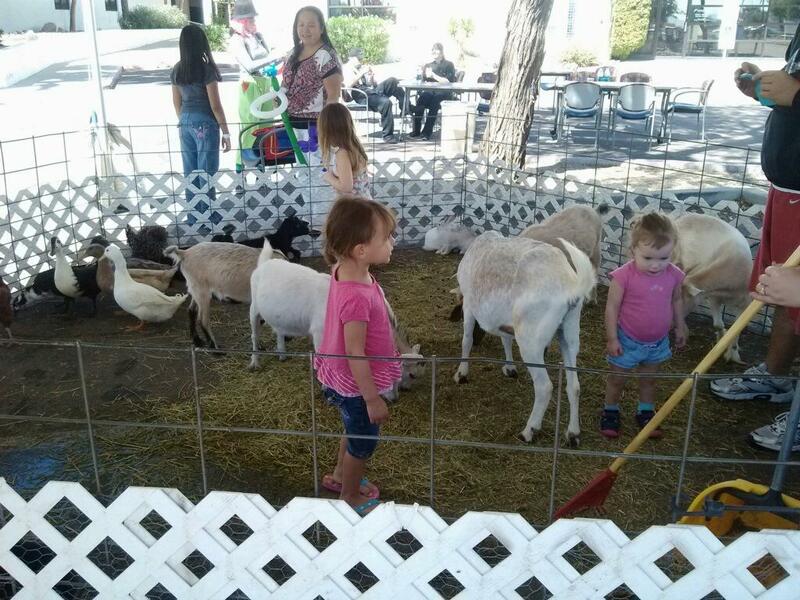 This package includes one hour of our Petting ZooPLUS one hour of Pony Rides. You also receive a Bounce/Slide Combo to keep up to 4 hours and may add a Premium Themed Banner to match your party decorations. We will bring you up to Four (4) Tables and up to 32 Chairs for extra seating for all of your guests. Select Two (2) Fun Food Machines from Pop Corn, Cotton Candy or Snow Cones or Hot Dog Maker. 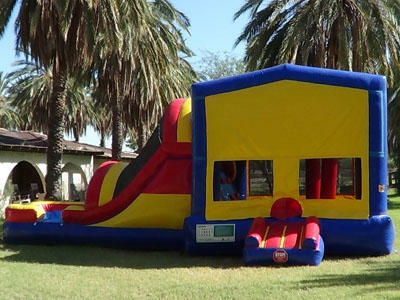 You can keep your bounce/slide combo all day or overnight on Sunday for Free! This is package normally costs over $750 you save $250!! Keep Bounce/Slide Combo all weekend for just $99 more!